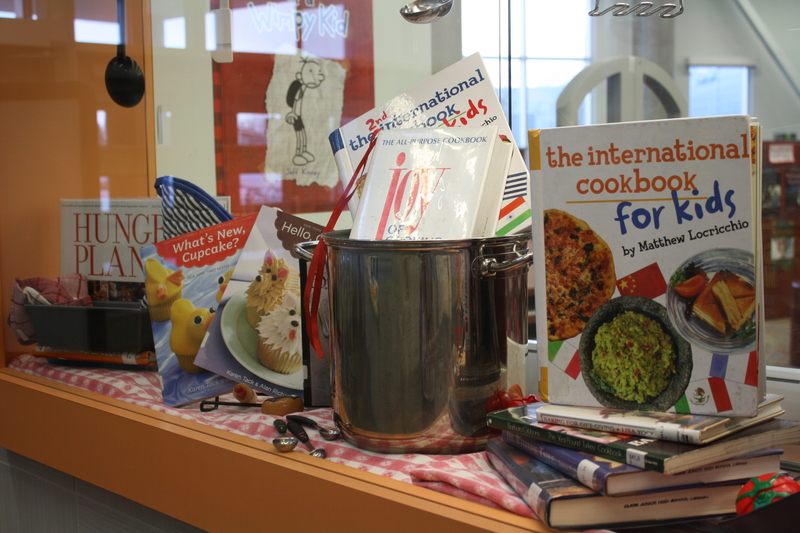 This is a display that really could be used anytime of the year. 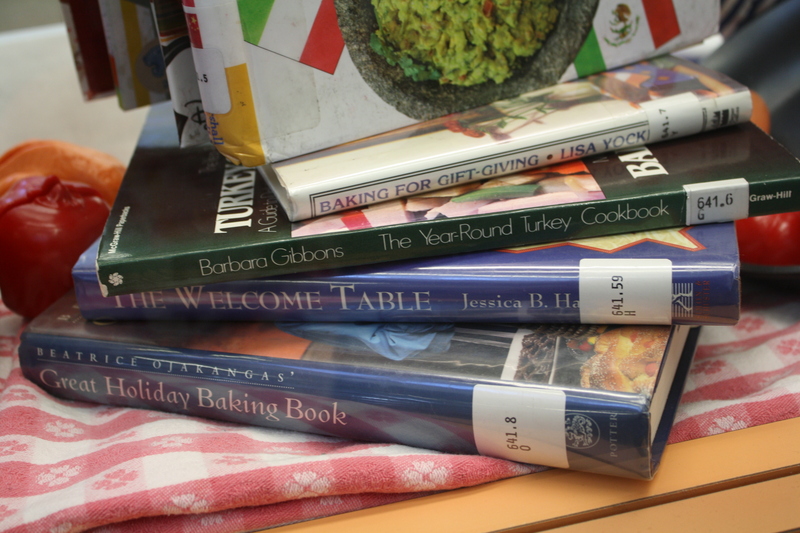 But as we are entering the winter and holiday season, perhaps there is a bit more interest in cooking and baking delicious goodies for holiday treats and feasts. 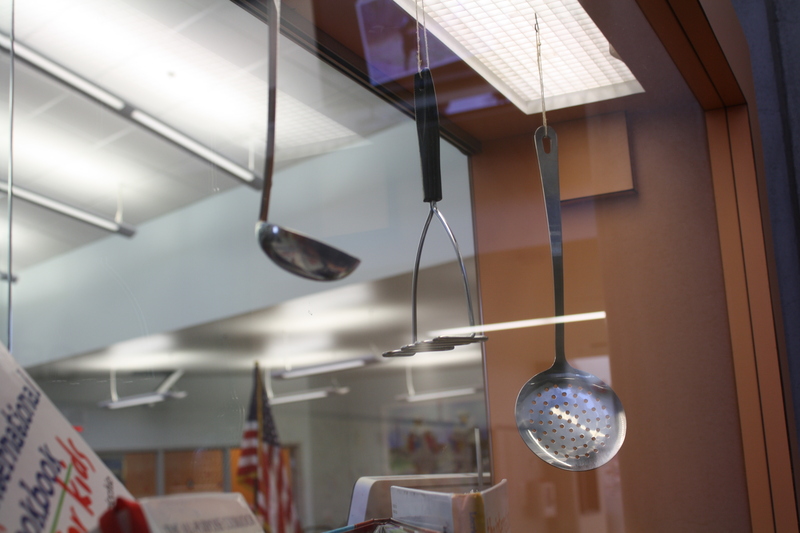 With just a pot full of cookbooks on an old tablecloth with some utensils hanging around, the display is pretty self explanatory. 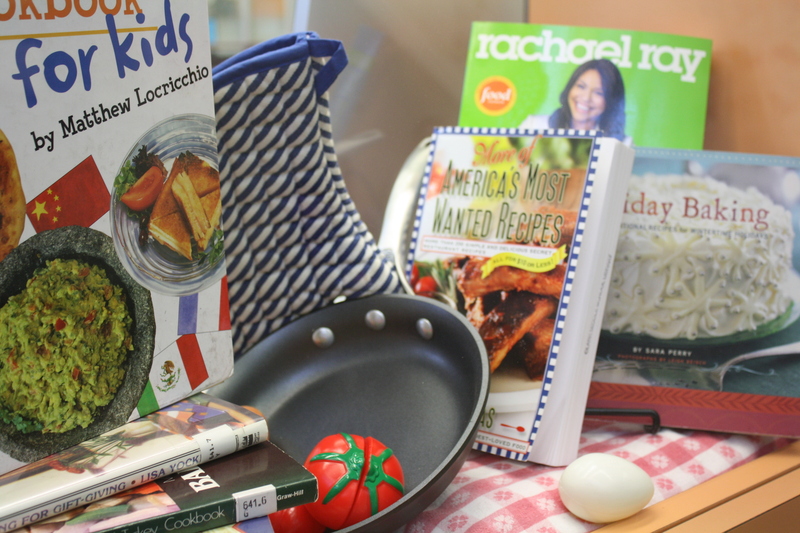 So many fun cookbooks, so little time. Yum! 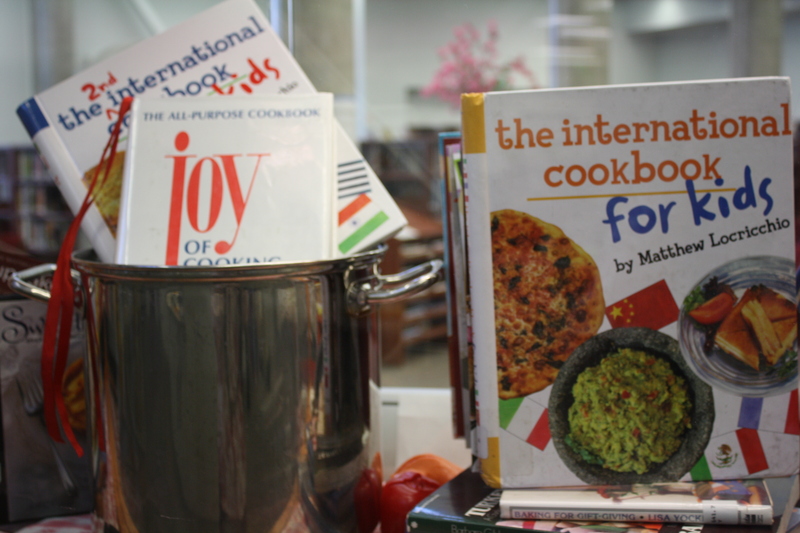 EDITED 2016: Four years later, and we set up another cookbook display in our new library. 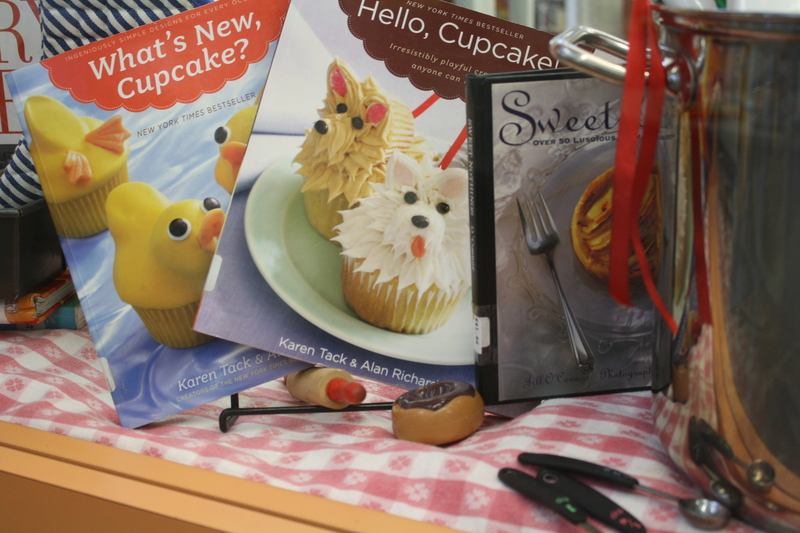 It looks slightly different but was still very popular – it’s a timely idea for Thanksgiving!